On the heels of yesterday’s citizen rally at the State House (LePage Admits To Threatening Good Will-Hinckley Re: Eves Hiring, Denies Actions Were “Blackmail”) came news late in the afternoon that the Maine Legislature’s Government Oversight Committee (GOC) would be meeting today to take up the investigation requests by Republican State Senator Tom Saviello of Wilton and a trio of Representatives, Independents Jeff Evangelos of Friendship, Ben Chipman of Portland and Democrat Charlotte Warren of Hallowell. Governor LePage through his legal counsel Cynthia Montgomery sent a letter to the committee, questioning their authority to conduct any sort of investigation into the chief executive officer. 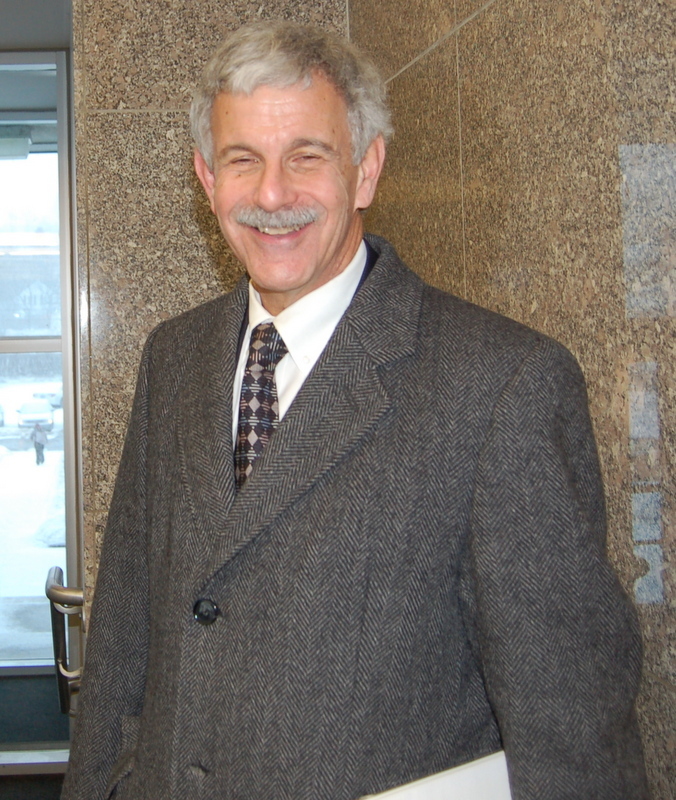 The 12 GOC members met with Office of Program Evaluation and Government Accountability (OPEGA) Director Bath Ashcroft for almost an hour, decided that they did indeed have sufficient authority to look into the serious allegations, and proceeded to discuss the scope of the investigations to be conducted by OPEGA. Here is video of the meeting, with the sole agenda item for GOC being “NEW BUSINESS- Requests for an OPEGA Review of Matters Relating to Funding for the Goodwill- Hinckley School”. After almost an hour of discussion, the committee agreed by an unanimous 12-0 vote to have OPEGA look into the concerns. Specific goals and parameters were set by the committee as to the scope. Afterwards, some of those involved were willing to issue quick statements. The committee will meet again at 9 am on Friday, July 17. Senate video link to watch the floor debate. Last week, the Health and Human Services legislative committee voted out two of three Medicaid expansion bills to the full Maine legislature, LDs 1578, “An Act To Increase Health Security by Expanding Federally Funded Health Care for Maine People” offered by Speaker of the House Mark Eves and 1487, “An Act To Implement Managed Care in the MaineCare Program”, sponsored by Republican Senators Roger Katz, (R-Kennebec), who serves as Asst Minority Leader in that chamber, and fellow caucus member Tom Saviello (R-Franklin). 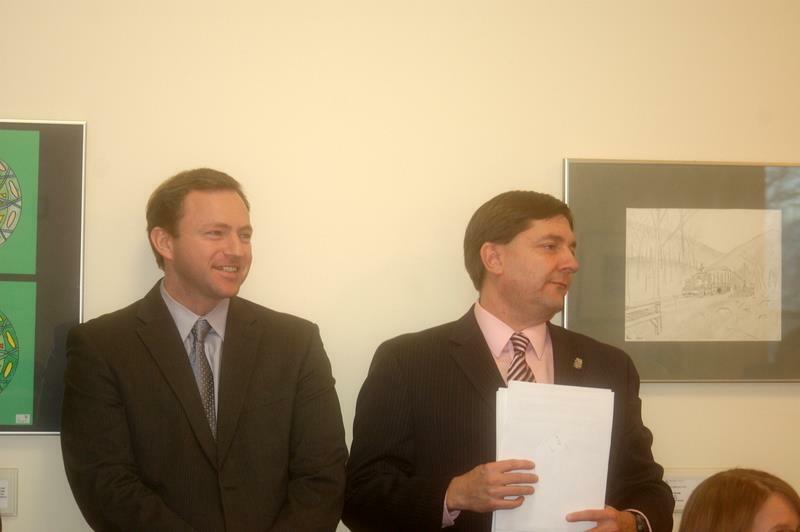 The last of the 3, Senate Majority Leader Troy Jackson’s sponsored LD 1640, “An Act To Enhance the Stability and Predictability of Health Care Costs for Returning Veterans and Others by Addressing the Issues Associated with Hospital Charity Care and Bad Debt”, has yet to be voted out by committee. The federal government has offered to pay 100 percent of the cost of health care for tens of thousands of Mainers under the Affordable Care Act. Key moderate Republicans and Democrats have worked on a bipartisan plan, LD 1487, to accept these funds. This is a common sense bipartisan proposal saves lives, saves money and creates jobs. The bipartisan plan includes a managed care program to lower the cost of health care and hold government and providers accountable for making sure people have access to appropriate care at an appropriate time, while also ensuring fair prices. It also puts in place a plan to reduce the wait list for home care services for Mainers with intellectual disabilities and adds two new Medicaid fraud investigators to step up fraud prosecutions. 5,829 people would gain access to health care. An additional $30 million will be spent annually on health care services by 2016, stimulating about $45 million in additional economic activity. Expansion would create approximately 378 new jobs in the county. 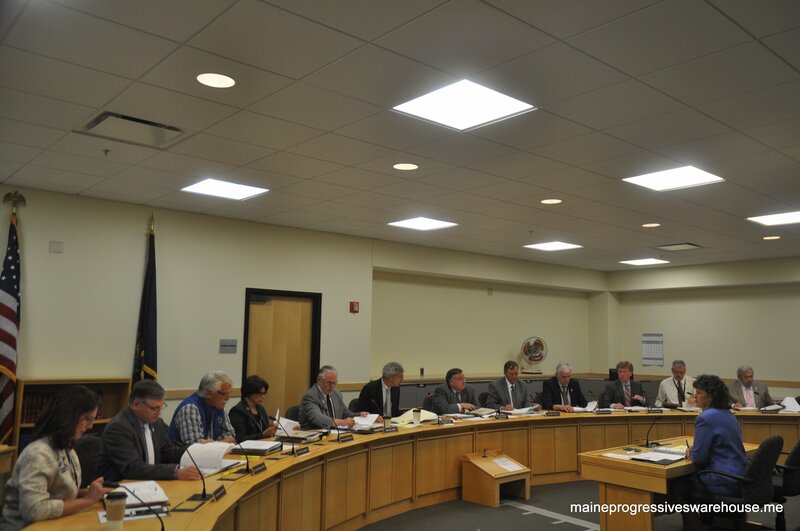 The HHS committee votes on both LD 1487 and 1578 were straight party line votes, even though 1487 is sponsored by two Republican senators, and is indicative of the strong pressure being put onto GOP lawmakers formerly open to expansion by the LePage administration may be having some effect. 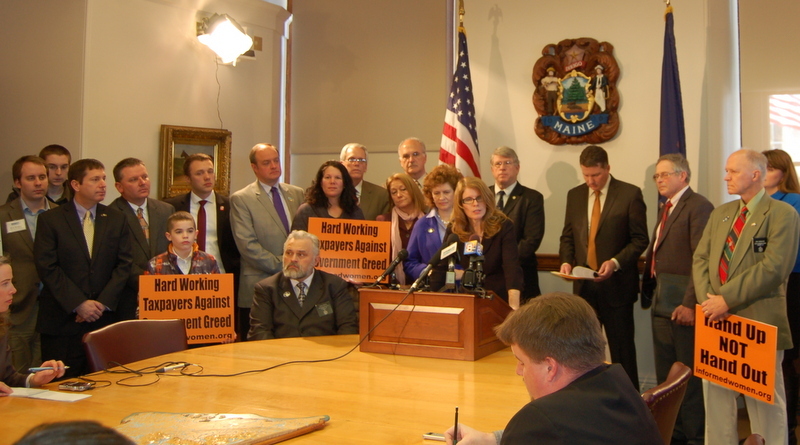 February 4: Boomerang Bills: Medicaid Expansion, Revenue Sharing- Now Right To Work? 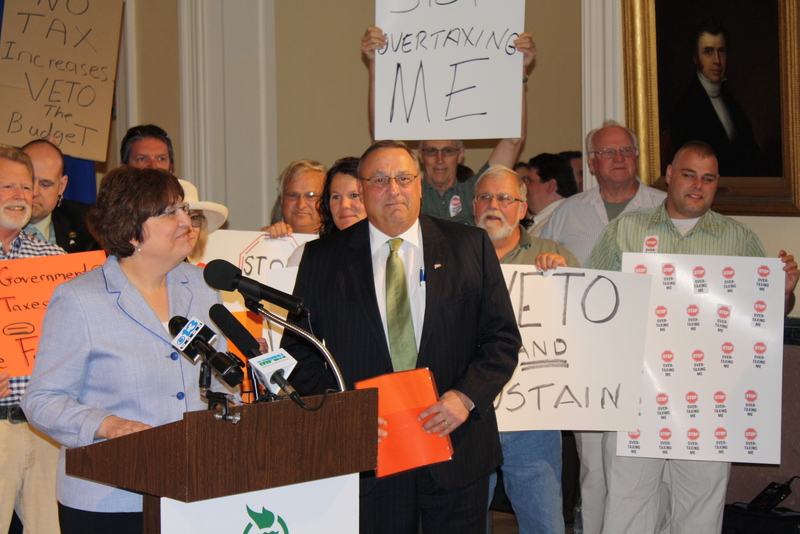 Last week on February 24, Maine Governor Paul LePage put forth a press release with an unusual claim- that Maine state agencies were being “cannibalized by welfare spending”, due to Maine’s expansions years ago. 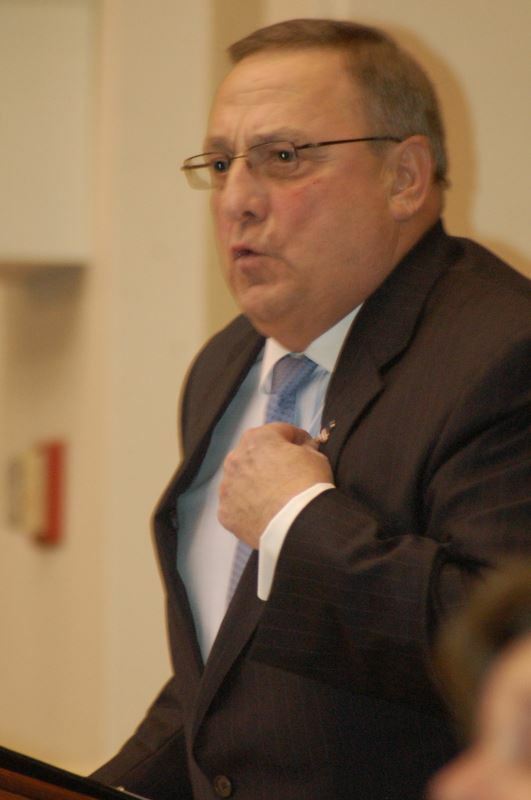 The messages were repeat statements of LePage’s February 19 weekly radio address and an earlier address from January 15 with much of the governor’s proof of his claims coming from the faulty Alexander Report, now repackaged as “The Feasibility of Medicaid Expansion under the Affordable Care Act” (PDF warning). To date, neither bill has yet been voted out of HHS committee. But the final straw? Learning that despite all of his best efforts, TWO MEMBERS OF HIS OWN REPUBLICAN CAUCUS (Senators Roger Katz and Tom Saviello) WERE GOING TO OFFER UP A THIRD MEDICAID EXPANSION BILL!! So, not satisfied that his words were getting through to the public or legislators, the LePage administration decided to go further- and employ a desperate sort of “throw everything against the wall until something sticks” technique, by emailing various state agencies and demanding the communications directors supply public statements in regard to how expansion would adversely affect their budgets. The results see below were sent out as part of a February 24 press release. But apparently that STILL did not have the desired effect and impact- so on February 26, DHHS Commissioner Mary Mayhew hosted a large media event in Governor LePage’s cabinet room with a variety of department heads dutifully taking their turns and standing to speak to the gathered Maine press about how their budgets were being “cannibalized” by the monies going into DHHS, as well as a new LePage assertion that “Medicaid Expansion is Bad for the Environment”. 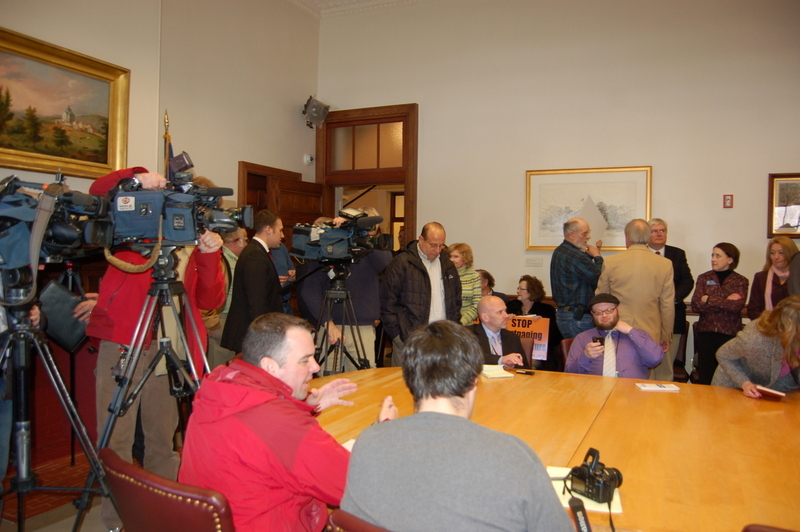 While the room was packed with currently serving GOP legislators, Republican legislative candidates, volunteers with signs held up opposing Medicaid expansion, bunches of Maine media and those speaking, Governor Paul LePage was nowhere to be seen and did not attend the press conference. Nor was his absence explained by staff. Here are clips from that event. A reminder: Mary Mayhew has time and time again, over the course of the three years since she took over the reins after the March 2011 abrupt firing of for Maine CDC Director then MaineCare head Dr. Dora Mills, never been able to get solid numbers on her department’s fiscal needs, outbound spending costs, over/ under payments, let alone satisfactory explanations of countless “IT issues”/ documented complaints to media or the Appropriations and Financial Affairs Committee in the Legislature. So that the crux of the LePage administration’s argument being that “Medicaid expansion will cause DHHS’ budgetary needs to grow to the point that other state agencies to suffer” seems to be either utterly oblivious of Mayhew’s horrendous mismanagement at best or completely disingenuous in ignoring the demonstrated and documented missteps (arguably the true cause of the “cannibalism”) at worst. 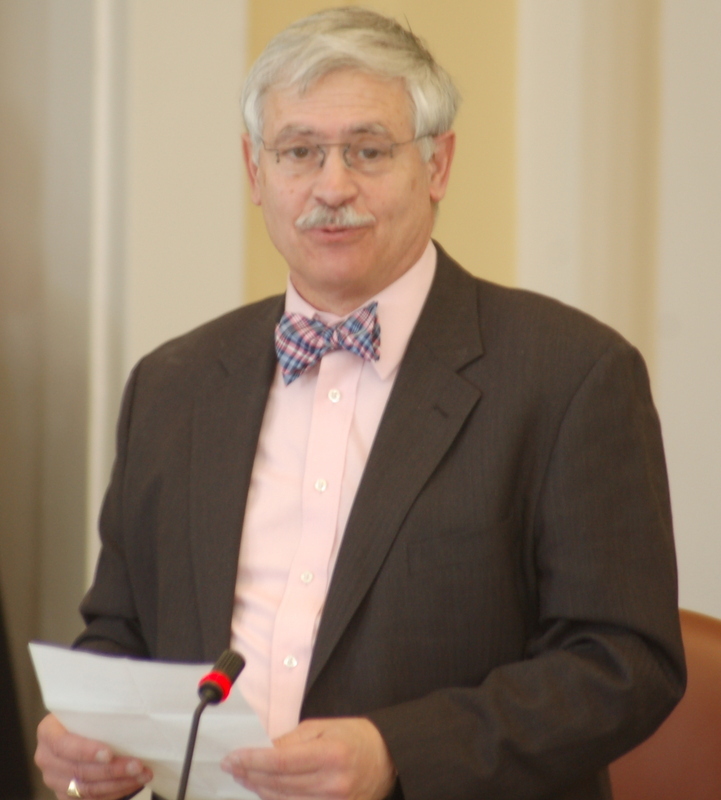 The media circus didn’t stop Senator Roger Katz (R-Kennebec), who went before the HHS Committee a few hours later and presented the bill that he and fellow Sen. Tom Saviello (R-Franklin) sponsored, LD 1487, “An Act To Implement Managed Care in the MaineCare Program”. It would expand MaineCare, at long last, to those at or below 133 percent of the federal poverty line. What’s more, it would do so through a new, managed-care model run not by the state, but by private-sector providers that would compete for the opportunity to deliver health care, at a set fee per patient, to Maine’s neediest population. It would “sunset” automatically in three years, when the 100 percent federal funding begins dropping incrementally to 90 percent. And if the feds reneged on their 100-percent promise before then, the plug would get pulled immediately. It would require a nonpartisan analysis to help future lawmakers determine whether the expansion achieved its goals (including a 5 percent reduction in health delivery costs) over those three years and, more importantly, whether the program is worth preserving beyond the three-year cutoff. It would eliminate those abhorrent waiting lists for developmentally disabled adults who need non-health services (they already receive MaineCare) to live fulfilling lives. Now, here’s where things get a little odd. Look at that earlier Governor’s Cabinet press conference Q&A clip again, paying particular attention to the 1:42 mark. Mayhew is interrupted mid-explanation to WCSH’s Don Carrigan by an unseen woman speaking (to Mary’s right) and prompting the commissioner with a talking point. And Mayhew took it in stride, as if it was not a rather egregious breech to interrupt an administration official while on camera during a press conference. Who was that woman? Well, let’s back up here, by about 2 hours- because between 9-11am that same morning down in the State House Welcome Center, a rather large group of supposed volunteers were assembled for a “legislative lobbying training session”. In reality, the group were a bunch of well organized members of the Cumberland County Republicans, including chair/ state committee member Eric Lusk, vice chair Bill Gardner, former state senate candidates Michael Coleman, Eric Brakey (who also heads Maine’s Defender of Liberty PAC), Kristen Martin (who was the woman who later jumped in while Commissioner Mayhew was speaking at the press conference), former House GOP press officer Vic Bernadelli and others. 1. At 8:50 after summing up what had already been discussed including lobbying instructions, Lusk asked those who can stay to be up at the Governor’s office at 12:15, “there may be something of a gathering”, “please grab some signs”. 2. At the 9:40 mark, Gardner discusses the placards as needing (paraphrase) “to get back the signs, they belong to Susan Dench of Informed Women’s Network; she takes them all over the place” (to events). 3. Martin from 9:56 discusses reimbursements, as well as opines that the poor can get free care at the hospitals, with no bills to be paid. 4. At the 10:45 mark Lusk is asked by an audience member why the younger citizens are targeted by the expansion and admits that the most cynical answer is that Democrats are trying to buy votes. 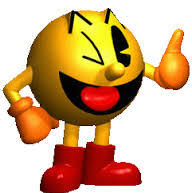 Hang on a minute- because the “cannibalism” LePage meme first started out as a 1980s video game reference… PAC-MAN! Opponents of Maine’s controversial Medicaid expansion proposal say expanding the low income health insurance program will take away critical funds from schools and other state programs. 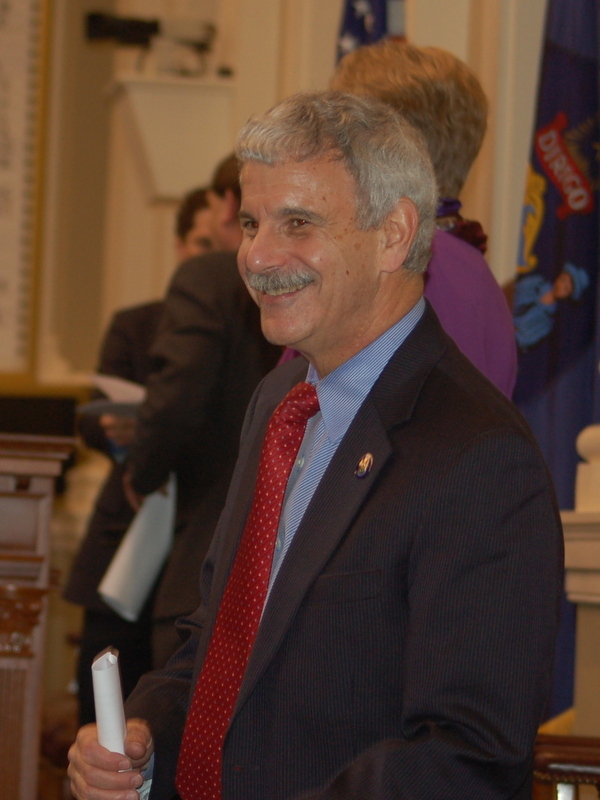 The group called Americans a For Prosperity Maine said passage of the law will lead to what it called a “Medicaid Pac-Man” that will gobble up money needed for other essential services. Notice how none of the speakers in the above clip mention how their local communities were at risk or would suffer adverse affects due to Governor LePage’s zero revenue sharing budget from last year. It should be noted that the Legislature overwhelmingly passed LD 1762, restoring $40M in revenue sharing to Maine’s towns and the bill silently went into law unsigned last week. Yet the same imagery of “cannibalism”, albeit via a Medicaid-fueled scribbled 1980’s PAC-Man hand drawing by Weston herself, was employed. Coincidence that a similar AFP movement occurred in Virginia, despite that state’s hospitals pushing for expansion?